Paul Merson is tipping Arsenal to drop points at West Ham on Saturday afternoon. The Gunners will take on their derby rivals in the early kick-off as Unai Emery’s side look to secure successive victories in the Premier League for the first time since November. Arsenal have only managed to win three of their last six Premier League games to lose ground on Chelsea FC in the battle to secure Champions League football next term. The north London side were 3-1 winners against Manuel Pellegrini’s men back in August thanks to goals from Nacho Monreal and Danny Welbeck. Arsenal have won their last three Premier League games against the Hammers but Emery’s side have struggled on the road in recent weeks. The Gunners have collected three points in their last six games on the road to suggest that away form is becoming a problem for Arsenal. 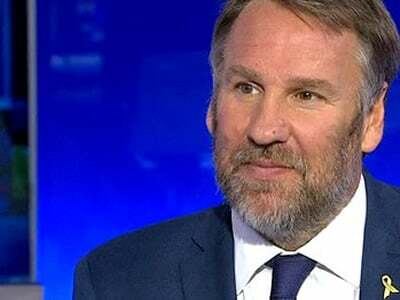 Former Arsenal midfielder Merson believes the Gunners will drop more points in the Premier League when Emery’s side take on West Ham. “Arsenal struggle to stop goals going in and West Ham’s best form of defence is attack,” Merson told Sky Sports. Arsenal are looking to secure a return to the Premier League’s top four after missing out on the Champions League spots in the last two seasons. The Gunners lost their opening two Premier League games under Emery before going on a 14-game unbeaten run.